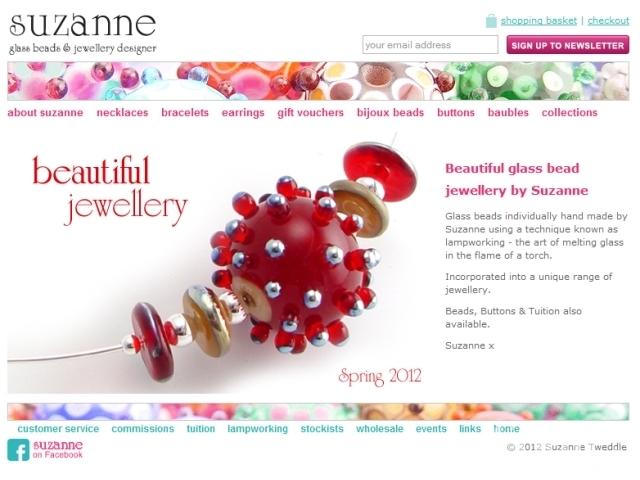 Through both my work at CannySites.com and my blogging, I get to see an awful lot of independent retailers’ websites, including the good, the bad and the (occasionally) ugly. So, whether you’re running a high-street shop, an online store or both, what are the ingredients that you need to create a really effective content website for your business? 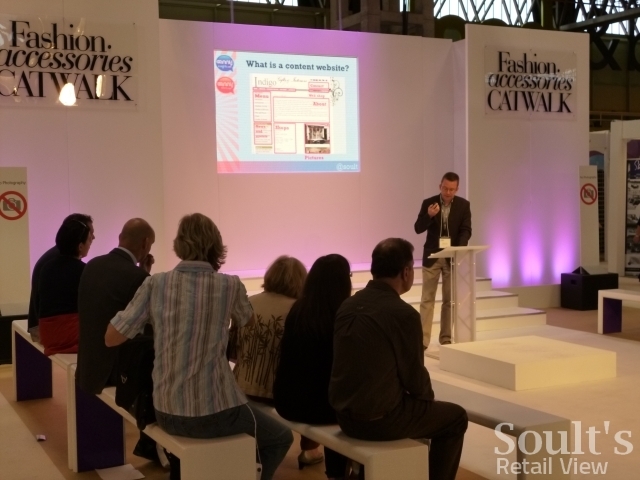 That was the question I sought to answer at Birmingham’s NEC earlier this week, where I gave two seminars as part of the annual Autumn Fair International trade show – one of the biggest events in the calendar as far as retail suppliers and buyers are concerned. It was a great pleasure to share some of my top tips, and really pleasing to get feedback afterwards from retailers who were inspired either to venture online for the first time, or to get their existing websites working harder and better. So, whether or not you were at Autumn Fair, here – across two blog posts – are my 14 key tips on how to get content with your website content. 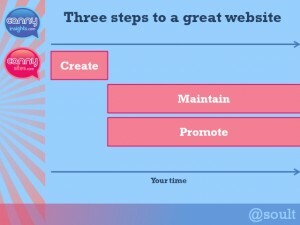 What is a content website, and why should you have one? Before I get onto the practical tips that I mentioned, it’s worth talking about what a content website is, and why it’s important for your business. At its most basic, a content website is one that provides customers with useful information about a business. 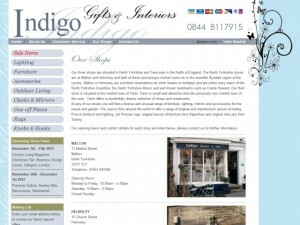 In a retail context, this will often look something like the example of Malton’s Indigo Gifts & Interiors, below, featuring information about the shop and what it sells; the store address and opening times; clear contact details; a news and events section, to help keep the site fresh; and pictures, to add colour and interest. These content website basics remain the same, whether or not there’s an online store attached to the site. So why would you have a content website? The most obvious reason is that customers increasingly expect it, and it’s often the first source, via Google, that they will turn to for up-to-date information about your business. In turn, having a website allows people to link to it on Twitter and Facebook, spreading the word when they’ve had a good experience. By being visible online, it gives your business not only exposure but also credibility. Next, having a good-quality content website is a great way of raising awareness of your physical store. It allows you to reach people who might not otherwise have been aware of your shop, or to remind others that you exist, driving footfall that can lead to new customers and sales. And finally, of course, you can potentially sell online too. If you are, however, having great content is still really important – Google likes it, and it helps your site stand out from the crowd. If you are thinking of investing in a website, however, it’s important to do it for the right reasons. Even these days, you’ll come across retailers who say “I got a website done because I thought I ought to” or “because everyone else is getting one”. 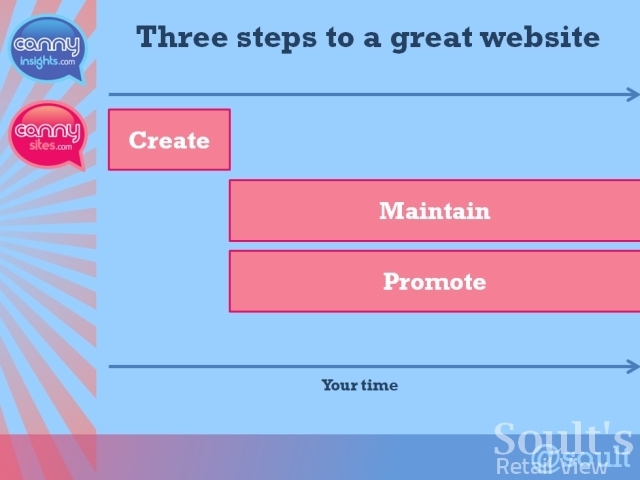 As communicated in the simple diagram above, actually setting up a website doesn’t always take very long – you might bring in a website designer, populate it with some content that you’ve written, and away you go. What’s important to recognise, though, is that the big commitment comes afterwards, in maintaining and promoting the website – all the stuff that’s involved in keeping it fresh, interesting and useful. So, as long as you appreciate that a website isn’t something that you set up and then leave, but that it will need ongoing tweaking and nurturing if it’s to really benefit your business, then you’re off to a great start. Having understood what’s involved, let’s say that you’ve decided to go ahead – either creating your first website or revamping an existing one. Where do you start? The answer is by doing your planning. So, before you write anything or have anything designed, think about what your website’s overall message needs to be. 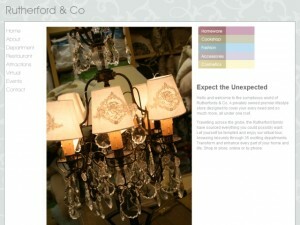 What impression of your business do you want the site to convey? And what are your brand values? 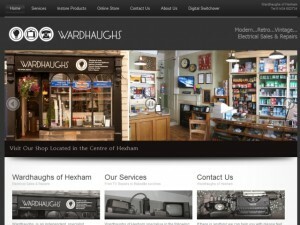 For example, if your high-street shop is all about fantastic service, locally-made products or a really unique experience instore, all of these things also need to be communicated in the look and feel of your website, and will impact upon the type of content that you need. If you find it hard to articulate this kind of thing yourself, think about bringing in someone who can help you to write your web copy and make sure that it’s communicating all that’s important and special about your business. If you’re creating a website for the first time, another really important thing to do right at the start is to buy the right domain name: the address at which people find you on the web. My advice here is to choose carefully! Buy a domain that’s as close to your business name as possible, stick to the well-known suffixes of .com or co.uk, and avoid hyphens or a name that’s too long. If your first-choice domain is already taken, I’d always recommend being creative with a .co.uk or .com domain, rather than opting for one of the lesser-known and inferior domains such as .co or .biz. All this matters because your domain name is an important part of your brand: if it’s simple and logical, customers will find it easier to remember, and it will make you easier to find on Google. Your domain name is also likely to form your email address; certainly, my advice is that it’s always better to promote an email address that uses the same domain as your website, rather than the @btinternet.com or @gmail.com addresses that you often see businesses using, even when they do have their own website. If we take the example of this online jewellery store called Suzanne (above), its domain name – suzannejewellery.co.uk – makes perfect sense: it clearly communicates what the site is, and if someone is searching online for the keyword ‘jewellery’, this site is likely to show up highly because it has that word ‘jewellery’ in its domain name. If the impression that your domain name gives is important, making a positive impact with your website’s homepage is just as crucial. 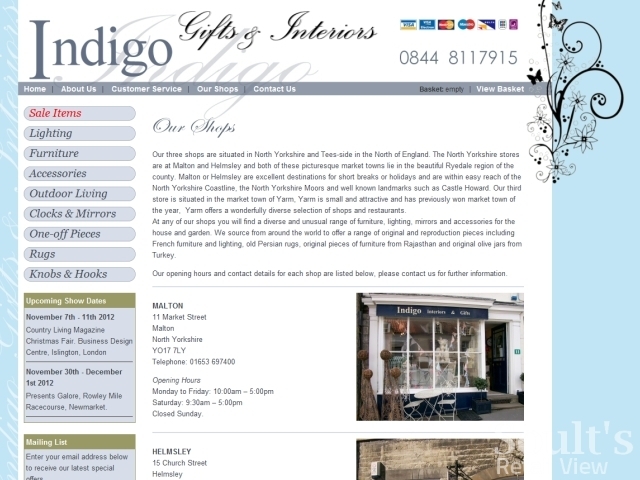 Think of your website homepage as your shop window: it’s the first thing customers see, and the immediate impression it makes will determine whether they proceed any further. 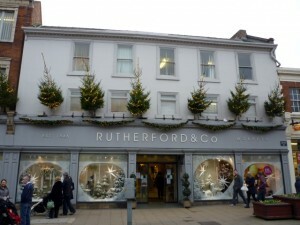 As with a shop window, you need to catch people’s attention but not bombard them with too much information. 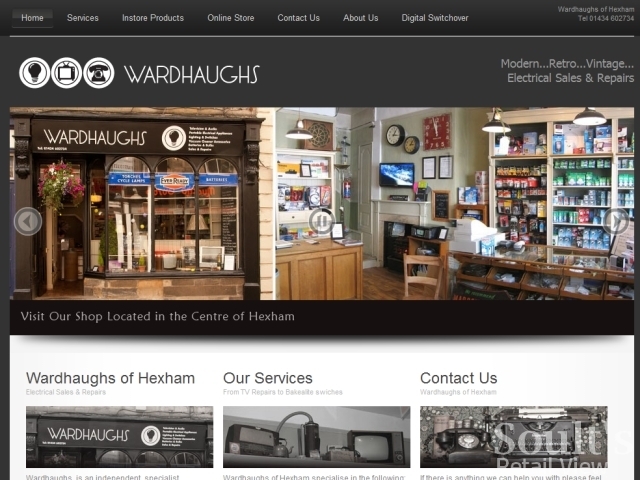 So, think about including an eyecatching photograph, like in the Wardhaughs of Hexham example at the top of the page, but don’t overdo the text. A couple of paragraphs is usually enough for a homepage, and these need to immediately engage the reader, and communicate what is distinctive or special about your shop. There’s always the opportunity for you to provide more detail elsewhere on the site. And again, like in a shop, make sure it’s easy for people to move around and find what they’re looking for. So, make sure that your menus and navigation aren’t too complicated, and link to a sitemap where a visitor can access all the content on your site from one place. 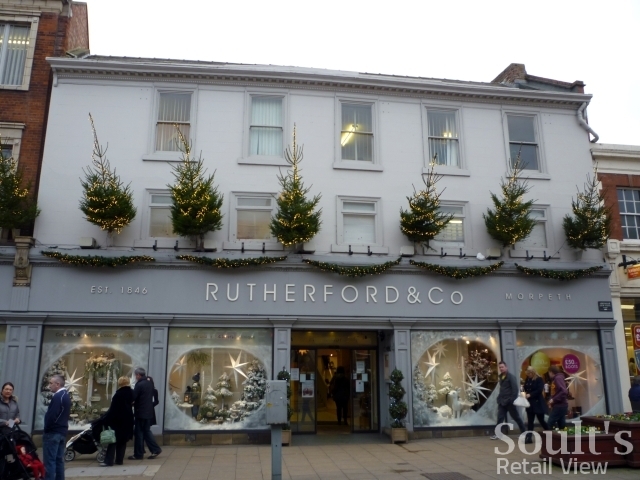 Upmarket department store Rutherfords of Morpeth – which I’ve blogged about before – has a homepage that’s simple and clean with clear menus and not too much text. You could argue that the overall colour scheme is a bit insipid, but the page is brought to life by its lovely, bold photograph: taken inside the store, it really conveys the warmth and individuality that you feel when you visit the physical shop. When you’re thinking about your homepage, sitemap and what will go on your site, don’t forget the basics. As I’ve observed previously, you’d be surprised at quite how many retail websites miss off the most obvious information. So, if you’re looking to encourage visits to your physical shop, make sure you have a page saying where it is – preferably with a map – and that you list the opening times. Make sure these are up to date, and that you note any seasonal changes or holidays. Also make sure that you include details of how customers can contact your shop by email and phone, and that this information is easy to find on either the homepage or a separate contact page. Finally, I always think it’s worthwhile including an ‘About us’ page, particularly if you’re an independent retailer with a great heritage or back story. 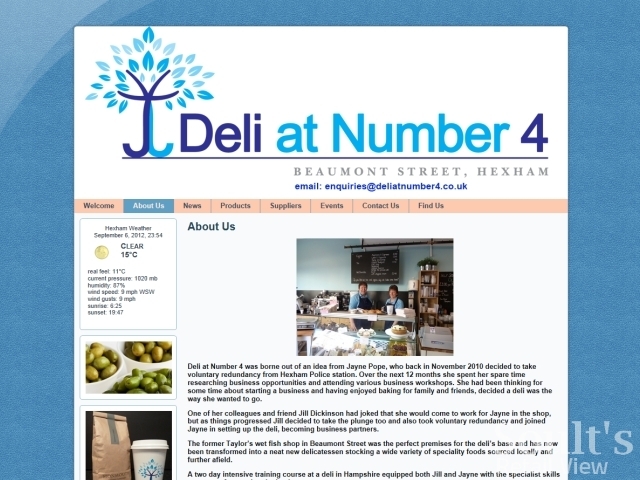 Hexham’s Deli at Number 4, which I wrote about back in July, is a good example of this, with its ‘About us’ page (above) telling the great story of how business partners Jill and Jayne came to set up the deli. Talking about your shop’s history and the people behind it is a really good way to illustrate what makes your shop distinctive and interesting compared to the big-name stores. 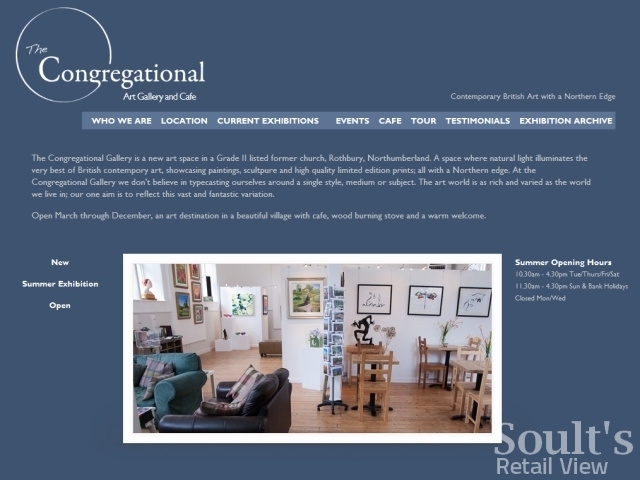 Similarly, the site for The Congregational Art Gallery and Cafe in Rothbury (below) has a page telling you where it is; summer opening times shown clearly on the homepage; the phone number and email address down at the bottom; and the ‘Who we are’ page that gives you a flavour of the shop’s personality. When you’re thinking about writing for your website, one of the most important pieces of advice that I can give is to write content for humans. SEO, or search engine optimisation, is really big business, with lots of retailers paying SEO consultants a fortune to help them get their sites listed higher up Google. There can certainly be value in doing that, but sometimes I see web content that’s so packed full of keywords and phrases it makes almost no sense to a human reader. The good news, however, is that SEO isn’t as scary or complex as you might think. At its most basic, SEO is simply about making sure that you convey everything that’s important about your business – that way, all the most important keywords and phrases will be there naturally, rather than shoehorned in. So, if people visiting your site think that your content is original, useful, relevant, engaging and well written, the chances are that Google will too. 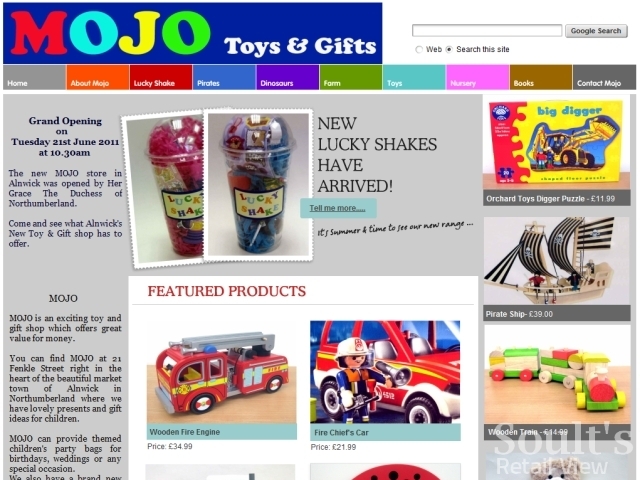 If we ignore the slightly out-of-date news about last year’s ‘Grand Opening’ (which I’d move to the ‘About us’ page, and replace with a more current news story), the homepage for Alnwick’s Mojo Toys & Gifts is really good – it’s lovely, bright and bold, with a well-written introduction to the shop. Take that text apart, however, and you can see that all the important keywords are in there too: toy; gift shop; Alnwick; Northumberland; presents; gift ideas; children’s party; party bags. So, whenever anyone is searching for a combination of those keywords, Mojo is likely to be up there among the top results: the perfect combination of text that works for both humans and Google. Of course, using the right words is only part of the battle: you also need to make sure they’re spelt correctly. You’d be amazed by the number of retailers’ websites I’ve seen that misspell the address or even the name of the shop, and my advice is to always double-check the spelling, grammar, punctuation and overall readability of anything that you write. If that kind of thing isn’t your forte, ask someone else to check for you, or think about bringing in a proofreader. It might sound obvious, but these types of mistakes can really detract from the overall quality of your website, and even make it harder for Google to work out what’s going on. In part two of this blog I’ll reveal tips 8 to 14, starting with some of the ways in which you can make your site truly memorable by not relying on content that just sits there and stays the same. In the meantime, if you want people to remember your website and your business for the right, positive reasons, avoiding spelling errors and other silly mistakes has to be a good start. My retail consultancy business, CannyInsights.com, helps retailers with many of the tasks highlighted in this blog post, including critiquing websites’ appearance and usability, creating and improving web content, proofreading web copy, and helping businesses get to grips with social media. For more information on how CannyInsights.com can support your business, visit www.cannyinsights.com, drop me an email, or give me a call on (0191) 461 0361.